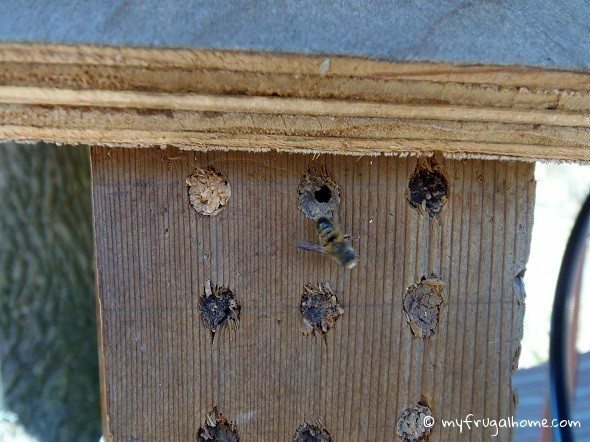 You are here: Home / Garden Tour Details / Mason Bees / Our Mason Bees are Hatching! 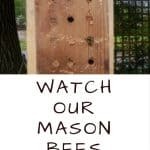 We didn’t know if it would work, but mason bees started building nests in the houses as soon as we hung them. It was fascinating to watch them work. They lay eggs in the holes, and then cover the holes with mud to protect the eggs until spring. 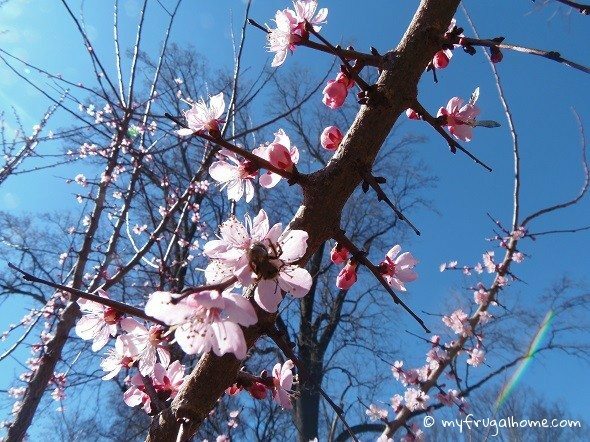 Well, yesterday my husband looked out the kitchen window, and noticed bees flying around our apricot bushes, which had just started to bloom. 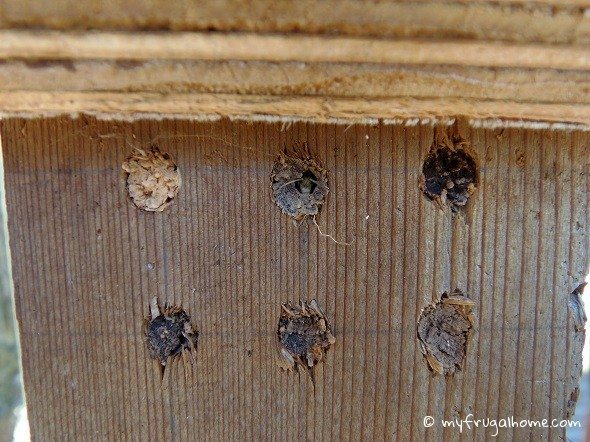 We went out to inspect, and sure enough, some of our mason bees had hatched! and flew straight to our apricot bushes. Looks like we might have our first apricot harvest this year! 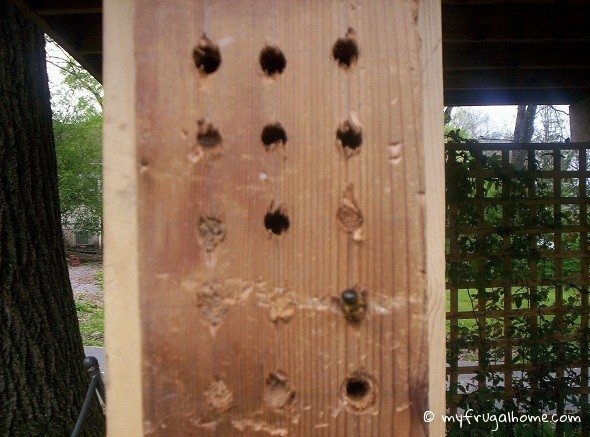 Want to learn more about mason bees? 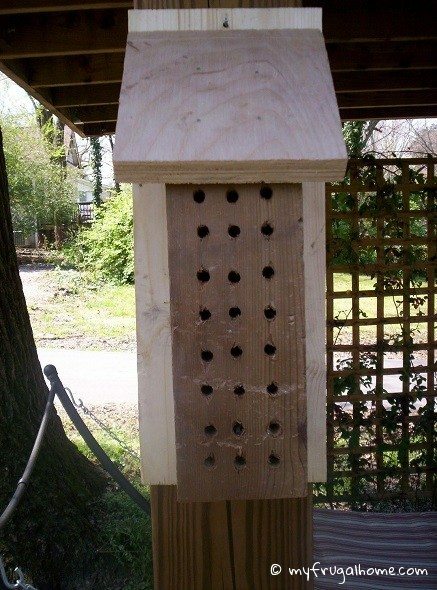 Interested in building your own mason bee house? You’ll find more info and the house instructions here.